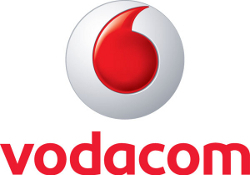 In a bid to help tackle skills development and job creation within the ICT sector, mobile operator Vodacom has embarked on a drive to help empower unemployed youth with ICT skills training. This morning, Vodacom, through its Mobile Education programme – in partnership with Cisco and MICT-Seta – kicked-off a youth development project at the Nelson Mandela Metropolitan University, in Port Elizabeth. The partnership aims to train unemployed youth in ICT skills and to further develop them into ICT entrepreneurs. Maya Makanjee, Vodacom chief officer of corporate affairs, says: “This is Vodacom’s contribution towards the creation of skills development and job creation opportunities for unemployed youth. It is premised on the concept that the more skilled the youth are, the greater their opportunity for employment. The programme will cover training in A+, N+ and 3G connectivity, over a period of six months. The project will train and develop 15 ICT entrepreneurs in each of the nine Vodacom ICT resource centres situated in all provinces. The total number of trainees will be 135. All participants’ stipend and accommodation will be paid for by Vodacom. The operator says entrepreneurial skills training will also run for a period of six months and will focus on empowering the youth with business skills. “The Vodacom youth skills development project focuses in particular on helping nurture skills needed in the ICT industry, with the potential for beneficiaries to be offered practical experience that will include projects such as ICT installation in schools, providing connectivity in schools and rural areas. Trainees will also be used in the technical support for the schools that are part of the Vodacom Mobile Education programme,” says Vodacom.